At Mambeno, our most important job is the make the everyday a bit easier for families. That’s why it makes us super happy when it turns out just the way we had hoped! 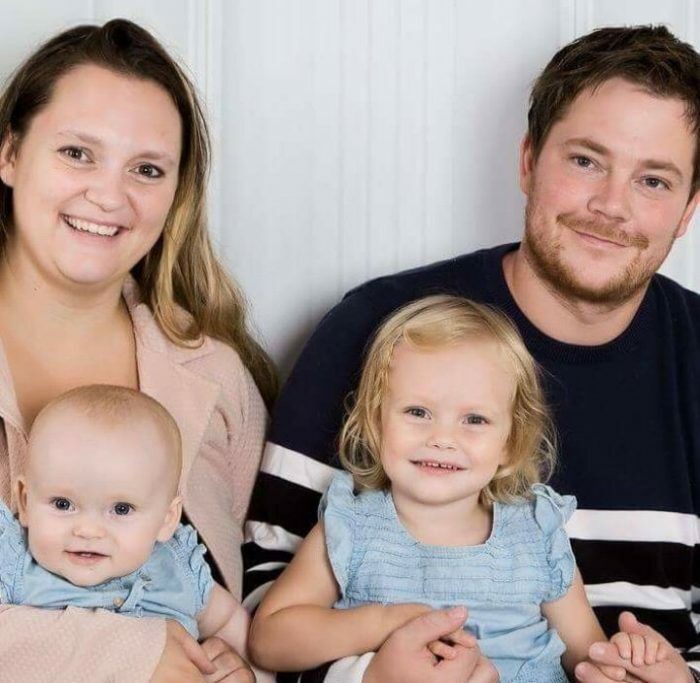 One of the people who has shared their experiences with us is 34-year old Louise Juelskjær Hansen, who lives with her husband and their two girls – Aya, aged 3, nearly 4, and Ella who just turned 2. Going into the new year, she decided to try something new to – hopefully – get a slightly easier everyday. While she was lacking overview over the weekly shopping, and wanted to spend less time at the shops, she also struggled to come up with dinners, that especially her oldest girl Aya, wanted to eat. 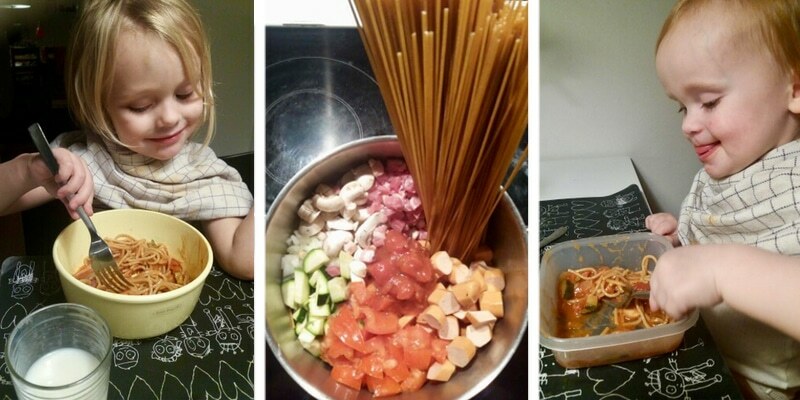 And with two small children and full time jobs, it was easier said than done to plan the week’s meals in advance as well as coming up with new dishes for dinner every day. So as 2017 became 2018, Louise decided to try Mambeno’s meal plans – and after using the meal plans for several months, the verdict from Louise is clear. “We’ve gotten an easier everyday – and it’s so nice for someone to have taken control, and we just need to bring the shopping list to the supermarket with us after work. On top of having a better overview of the food budget and shopping, the girls, Aya and Ella, love the food too. Here at Mambeno we’re giving a little cheer, because we just think Louise and her family are smashing it. And we’re so thrilled to have helped them to a slightly easier everyday! If you want to take Louise’s lead and make dinners the whole family will love, she, Aya, and Ella have chosen their three favourite dishes from our meal plans. And thank you to Louise for the lovely photos, which you can see more of on Louise’s instagram. 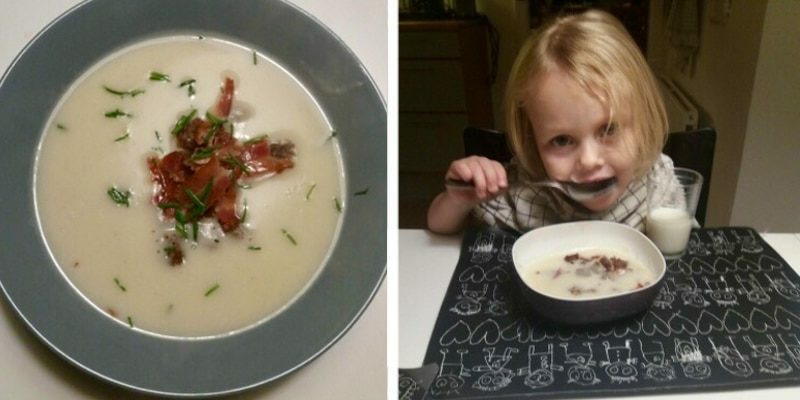 One of the family’s favourites is our Jerusalem artichoke soup with bacon and brown bread. “The bowls practically get licked”, Louise says. If you want to try the soup for yourselves, you’ll find the recipe for Jerusalem artichoke soup with potatoes and bacon right here. Another of the family’s favourites is our one pot pasta – according to Louise a “mega hit all around and mega easy to make”. If you’re hoping for similar success, try our one pot pasta with chicken mince and bacon or the creamier take with cocktail sausages and mushrooms. 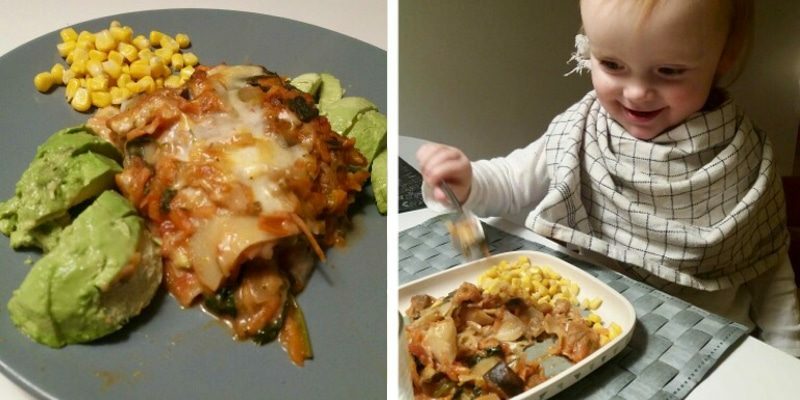 The final dish on the family’s top three is our vegetable lasagne – that even 2-year old Ella loved! If you fancy making this for yourself, you’ll find the recipe for vegetable lasagne right here. We say thanks a million to Louise for the many lovely words and pictures! And if you want to do as her family and get an easier everyday, remember that you can try Mambeno’s meal plans for 30 days completely free right here! How much should your child be drinking? Sandra and family can now afford a new car!